In the French Pyrenees, just next to the border to Spain, there is a ski resort called Station de Ski Luchon-Superbagnères. The drive to Superbagnères starts from a town called Bagnères-de-Luchon, with a population of less than 3000 people. The drive to the top is 18.5 km at an average gradient of 6.3%, and even short stretches in excess of 10%. Six times there has been stage finishes in Tour de France here. And when you reach the top at more than 1800 m above sea-level, you can on a clear day even see a glimpse of the highest mountain in the Pyrenees – Aneto. 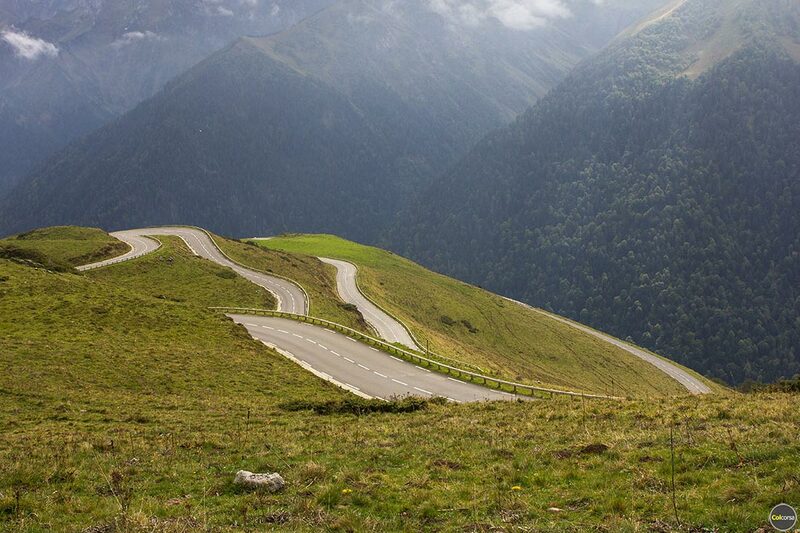 Why did we think Superbagnereès deserves to be on our list of the world’s greatest driving roads? It is a dead end road and what comes up must go down the same road, and there is not much to see or do outside ski season. But that is why it is one of those roads that does not have that much traffic summertime. On the day we drove it in late September it was almost empty, and it was beautiful. Empty curves, good tarmac, stunning landscapes, and on top of the mountain pass the dramatic “Grand Hôtel” which adds to the mystery of this pass. As the hotel is only open from early July to late August in the summer season, any time outside that you are driving this road you will be surprised to see other cars or bikers. Superbagnères as a driving road is definitely a less known gem in the French Pyrenees!